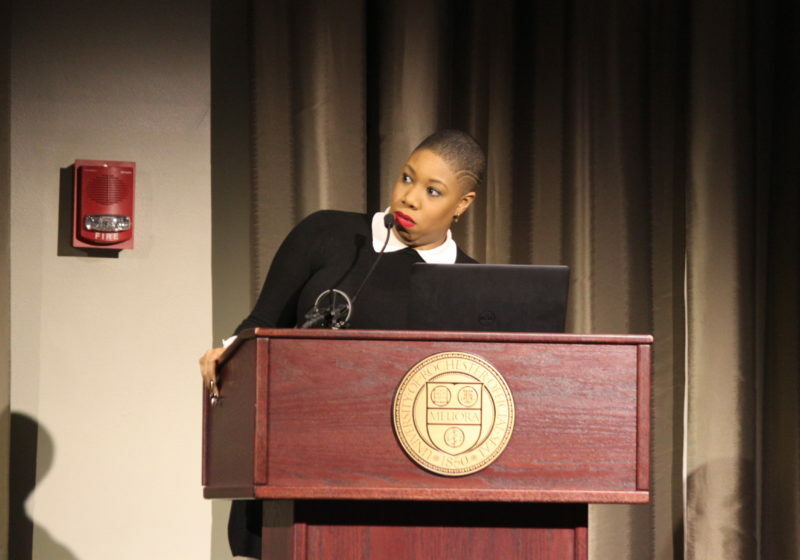 Symone Sanders, former national press secretary for Senator Bernie Sanders, urged attendees to be agents of change when she delivered the University’s annual Martin Luther King Jr. Commemorative Address this past Wednesday. Sanders detailed the beginnings of her career working in the juvenile justice system where she fought her superiors to include incarcerated kids on a reform committee she chaired. 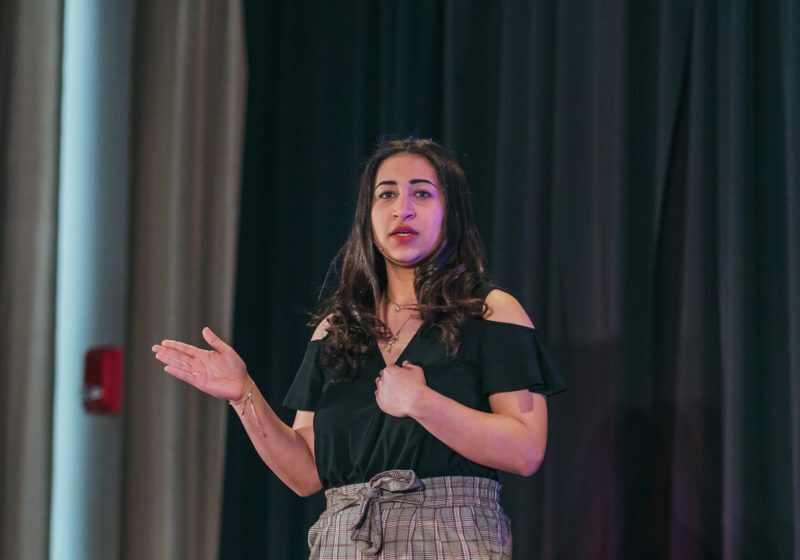 The 29-year-old political strategist, who shares a last name with her former employer but bears no relation, also shared stories of working with Senator Sanders during his 2016 presidential campaign. Sanders recalled a time she was profiled by state troopers at a campaign event, saying the experience led to a conversation with the Senator about the ongoing status of race relations in the United States. Prior to her speech, Sanders visited the Douglass Leadership House (DLH) for an interview and Q&A session with DLH members and local high school students. Those present asked questions ranging from her career to her experiences as a woman of color. Asked by a student how she was able to get her job with Senator Sanders, she replied, “I asked for it,” and advised students to “figure it out and get an answer” when faced with options and opportunities in life. A larger Q&A session followed her address where she was asked about a variety of topics, including the buzz surrounding Senator Kamala Harris and her recently-announced run for the White House in 2020. Ian Krager is a member of the Class of 2022.